There's plenty of valid criticism leveled against CEOs. They're overpaid. They're remote. They're arrogant. They don't care enough about shareholders. Activist investors like Carl Icahn earn a living from identifying these offenders and then encouraging them to change, leave, or sell their companies. The best CEOs, however, are worth every penny of their pay. They possess an unusual set of qualities that enables their companies to stay ahead of rivals and deliver market-beating returns for shareholders. In our 10th annual list of the 30 best CEOs in the world, Barron's again looks to identify those special leaders. A dozen of them have guided their companies since inception -- including Amazon.com's Jeff Bezos, BlackRock's Laurence Fink, IntercontinentalExchange's Jeffrey Sprecher, and SoftBank's Masayoshi Son -- and bring a founder's passion to their jobs. The average tenure of CEOs on our list is 15 years, although in most cases that understates their commitment because many non-founders worked their way up through the ranks before getting the top job. And investors matter. The shares of nearly every company on our list have outpaced the Standard & Poor's 500 during their CEO tenure. Harsh as it is to say, if CEOs can't beat the market over an extended period, they ultimately aren't adding a lot of value. Investors would be better off in a low-cost S&P 500 index fund. Some CEOs have generated phenomenal returns. Regeneron Pharmaceuticals, Netflix, Gilead Sciences, and Precision Castparts are among the top 15 companies in the S&P 500 in shareholder returns in the past 10 years. Regeneron is up 20-fold. But nothing can compare with Berkshire Hathaway's long-term record. Its share price is up 9,000-fold since Warren Buffett, the oldest CEO on our list at 83, took control in 1965. There's moderate turnover on our list this year, as eight new CEOs join our pantheon, down from 13 new names last year. The newcomers are ICE's Sprecher, Facebook's Mark Zuckerberg, Delta Air Lines ' Richard Anderson, Netflix's Reed Hastings, SoftBank's Son, Precision Castparts' Mark Donegan, and two from the hot biotech sector: Gilead's John Martin and Regeneron's Leonard Schleifer. Many have been at the helm since their companies went public. We set a high standard for keeping CEOs on our list. David Novak of Yum! Brands is gone because the company's profit growth stalled last year amid problems in Yum's key market: China. José Antonio Fernández Carbajal of Femsa, the Mexican Coca-Cola bottler, is off because of slowing profit growth amid challenging conditions throughout Latin America. Larry Ellison built the second-largest software company behind Microsoft, but Oracle looks vulnerable to upstarts offering cloud-based software, and its shares are flat in the past year. David Simon, CEO of Simon Property Group, has been removed due to a modest profit slowdown and a hazier outlook for malls as more Americans do their shopping online. Our list is international, with 20 CEOs coming from the U.S., six from Europe, and four from Asia. WE USE NO RIGID FORMULA to come up with the list. It reflects the views of Barron's reporters and editors, taking into account the opinions of investors, analysts, and industry executives. We like to see CEOs on the job for at least five years. It takes time to make a mark on a large company, and developments in the first year or two of a CEO's tenure may have more to do with a predecessor's actions than any new initiatives. A closer look at some of the new additions might suggest what impresses us. Many investors haven't heard of Precision Castparts, but the $38 billion (market value) company has become a lucrative maker of complex metal components and fasteners that are found in jet engines and other high-intensity aerospace settings. Donegan, a 29-year company veteran, has been described as obsessed with every aspect of the company's manufacturing process. He does nothing to broadcast his achievements, and declined to talk with Barron's; indeed, the Portland, Ore., company doesn't even have a PR department. Investors have recognized Precision Castparts' strengths, including its 18% net margins, which are among the best in the industrial sector. Sprecher of ICE built one of the leading commodity and derivative exchanges -- capped by its deal last year for NYSE Euronext -- in less than 15 years, starting with a small energy exchange, all under the nose of its powerful rival, CME Group. There are few tougher businesses than airlines, and Anderson has turned Delta Air Lines into an industry leader with projected profits of more than $2 billion this year. He has improved service, gained share in the corporate market, dealt well with always-restive unions, bought an oil refinery, and tried to act like a normal company -- and not a traditional airline -- by returning cash to shareholders. He's even willing to change Delta's frequent-flier program by rewarding customers based on what they pay to travel, not miles flown. MARK ZUCKERBERG has created the dominant social-media company, with over a billion global users. He has shown the same intensity for making money -- through a variety of mobile-ad formats -- that he did in building the network. The company's market value is approaching $200 billion following its bold $19 billion recent deal for instant-messaging company WhatsApp. Barron's wrongly underestimated Zuckerberg and Facebook. Netflix's Reed Hastings is a disrupter extraordinaire. More than 30 million Americans pay to watch streaming video of their favorite shows, movies, and Netflix's original programming at a fraction of the cost of cable TV. Hastings, however, still needs to show that Netflix can mine significant profits from the huge subscriber base. Son, who controls SoftBank, has become Japan's richest man -- with a stake in the company worth more than $20 billion -- through shrewd investments like an early-stage purchase of a 37% interest in Alibaba. SoftBank is set to make a killing with Alibaba planning to go public later this year at a market value that could approach $200 billion. Son shook up the Japanese wireless market with his acquisition of Vodafone's Japanese business and he's trying to do the same in the U.S. with his purchase of a controlling interest in Sprint -- and he may snare T-Mobile US, as well. Regeneron's success owes a lot to a single drug, Eylea, which could become the dominant drug for age-related macular degeneration, the leading cause of blindness among the elderly. Eylea sales this year could top $2 billion. Gilead Sciences, which made its mark with antiviral drugs targeting HIV, is riding the successful launch of its breakthrough drug for hepatitis C, Sovaldi, which could hit $4 billion in sales this year. One of the most controversial CEOs on our list is Jamie Dimon of JPMorgan Chase. Many would argue that Dimon doesn't deserve accolades, given the series of problems during his eight-year tenure as CEO, including the London Whale trading fiasco in 2012, the Bernie Madoff mess, and some $20 billion of legal settlements last year, most related to mortgage-related activities. Our view is that Dimon deserves to stay because he has built one of the strongest global banking franchises, which could produce $25 billion in after-tax profits this year. Dimon seems as committed as ever to the bank, its employees, and its shareholders, and could be on the job for at least a few more years. Why: His cost-conscious moves have delivered four years of profits. Airline stocks were lousy investments for decades, but Anderson, who stepped into Delta's cockpit just as the carrier was emerging from bankruptcy protection, helped change that perception. By cutting capacity, raising fares and fees, refurbishing used jets instead of buying new ones, and making peace with labor, he has set the course for years of profitability. Indeed, Delta's earnings soared 75% in 2013. What's more, the company issued its first dividend in a decade, paying six cents per quarter, as part of its plan to return $1 billion to shareholders over three years. Anderson, 58, is a risk taker and innovator. Under his leadership, Delta bought a Pennsylvania oil refinery to help reduce fuel costs. The refinery should become profitable this year. Why: This luxury-brand builder is many steps ahead of the crowd. We toast Arnault -- with Moët & Chandon bubbly, natch -- for building a luxury-goods juggernaut with $40 billion in annual sales. Arnault, 65, whose family controls 46.5% of Paris-based LVMH, not only turned Louis Vuitton into a perennially red-hot brand, but added lustrous new names such as Bulgari, in jewelry, and Thomas Pink, in shirts, to the company's status labels. Alas, sales of spirits and leather goods were flat last year, but the richest man in France isn't taking this lying down. He's investing in new designers such as Marco de Vincenzo, and paying more attention to menswear. Last summer, LVMH snapped up cashmere specialist Loro Piana, with a big men's business. It is also investing in its Berluti men's shoe brand. Why: Dominates Web retailing with $75 billion in annual sales. Bezos, 50, is relentless in pursuit of new things to sell. One estimate has Amazon.com offering 230 million different items and expanding its product assortment at a 24% annual clip. The company's 20%-plus annual revenue growth still delights Wall Street, which gives its chief a pass on profits. Bezos takes calculated gambles, such as Amazon Web Services, which sells computing as if it were just another retail good. It has the potential to replace traditional enterprise computing, and offers Amazon potential billions in new, higher-margin revenue. "We like to go exploring, to wander into dark alleyways, and see if they open up into broad avenues," Bezos has said. It remains to be seen if the recent 25% price hike on Amazon's Prime membership service means he's finally starting to focus on profit, not just growth. Why: Built a beer behemoth but stays focused on individual brands. Brito, 53, transformed a small Brazilian beer company into the world's largest brewer with bold acquisitions, including America's Anheuser-Busch in 2008 and Mexico's Grupo Modelo in 2013. With a market value of $169 billion, Anheuser-Busch InBev is now the No. 4 consumer company in the world. An exemplar of the "Brazilian" management style that favors sharp cost controls, innovative brand-building, and an informal corporate culture, Brito hates private offices and wears jeans to work. He also likes to nurture in-house talent, which produces employees who are "part of an engaged group of owners, not selfish…professionals looking to build their résumés," he said in a speech last year. The beer market lately has been stagnant in North America and Europe. We're betting on the Brazilian to reinvigorate growth. Why: He's a visionary value creator with a one-of-a-kind mind. At 83, the legendary investor remains at the top of his game. Berkshire Hathaway looks stronger than ever, with shares near a record high, capping a 9,000-fold increase during his tenure. Buffett continues to fortify Berkshire for the future -- and for his as-yet-unnamed successor. The company invested $10 billion last year in the Heinz buyout and keeps searching for an "elephant"-size deal to deploy a chunk of its $42 billion in cash. Buffett holds few meetings and eats like a kid, with burgers, french fries, and soda on his menu. His favorite beverage: Cherry Coke, made by Coca-Cola, a longtime equity holding. Berkshire's next CEO will get to run a company with more than $15 billion of annual earnings power and an impressive portfolio of businesses. Buffett has built a great legacy, and he's still adding to it. Why: Made Honeywell a global aerospace and industrial leader. Cote, 61, has piloted Honeywell to highs in sales, earnings, and stock-market value since taking the controls more than a decade ago. The company is a leader in aerospace, building controls, energy-efficiency systems, and turbochargers, and its boss hopes to keep it on top by fending off competition from China. "We spend a lot of time on…being able to beat your local Chinese competitor in Asia," he says. "If you can't beat them there, you'll be facing them in Western Europe and in the U.S."
Cote's list of public-service achievements nearly rivals his professional résumé, which includes the top spot at TRW and senior management roles at General Electric. He serves on the bipartisan National Commission on Fiscal Responsibility and Reform, and was elected this month as a director of the New York Federal Reserve, one of six serving on behalf of the public. Why: A battle-tested leader, he has made the bank even stronger. Dimon survived an annus horribilis in 2013, as JPMorgan Chase paid $20 billion in legal settlements related to the mortgage meltdown, the Madoff Ponzi scheme, and other problems. Yet, he remains the nation's top banker, having ably steered the company through the financial crisis while building a formidable organization with leading positions in all four of its largest businesses -- investment, commercial, and consumer banking, and asset management. Dimon, 58, could remain CEO for a while, not least because he feels a strong responsibility to JPMorgan's 260,000 employees. He avoids the New York social scene, and prefers tennis and running to golf. But his real passion is running the bank, which is well positioned for an eventual rise in interest rates and could deliver $7 a share in earnings in a few years, up from less than $6 now. Why: Built a money machine from seemingly prosaic parts. Under Donegan's watch, this Portland, Ore.-based company has become a giant in aerospace castings, forgings, and fasteners, with a $38 billion market value. Since 2002, sales have quintupled, to nearly $10 billion in this fiscal year, and the shares have gained more than 2,000%. Donegan, 57, a graduate of Villanova, spent 29 years climbing the management ranks. He devotes 80% of his time to visiting plants and is rumored to know how to run every machine in them. He is keenly focused on costs, and has overseen many acquisitions aimed at producing vertical integration. His next job: expanding the company's business in the power and energy sectors. Why: Built the world's biggest publicly traded asset manager. Last year was challenging for some money managers, especially those who struggled with bond-fund outflows amid concerns about rising rates. Not Fink. BlackRock, which he founded in 1988 as an institutional bond manager, had an impressive silver anniversary. Net flows into retail funds totaled nearly $39 billion, including $14.2 billion into bond funds. Under Fink, 61, BlackRock has become the world's largest publicly traded asset manager, with $4.3 trillion invested in multiple strategies and asset classes. Fink not only had the smarts to envision such an enterprise, but he also fortified it with the 2009 purchase of iShares, the vaunted ETF franchise. He expects 8% to 9% returns for U.S. stocks this year, and greater volatility because of "more reliance on politics than central-bank behavior." Why: Bet the farm on genetically modified seeds, and it's paying off. Critics revile Monsanto for selling genetically modified seeds, but Grant makes no excuses. Extreme weather and projections for the world's population to reach 9.6 billion by 2050 put the company on the front lines of fighting starvation, in his opinion. "We will look back whimsically at the fights between big and small farms, organic and agricultural production, and local versus global," he told Barron's last year. Monsanto's sales have tripled since this Scot, 56, took charge. Now he's embracing big data, with last year's purchase of the Climate Corp., which crunches weather data. Farmers who use the software can improve corn yields by 30 to 50 bushels an acre, the company pledges. Grant thinks farm data is a $20 billion industry, and Monsanto could grab a big chunk. Why: This media visionary redefined Internet TV. His stock merits an Emmy. After vanquishing the video-rental business, Hastings, 53, raised his ambitions, taking on the television industry itself. "Over the coming decades and across the world, Internet TV will replace linear TV," reads the Netflix mission statement. Thus far, linear TV has proved resilient, but Hastings isn't giving up. He has taken Netflix into original programming, making it less reliant on the cable and TV networks for content. House of Cards, one of Netflix's first shows, received nine Emmy nominations last year -- a victory of sorts, though Netflix doesn't disclose viewership figures. The CEO is even shaking up Wall Street. Last year, Hastings began hosting live video discussions about quarterly earnings, replacing the traditional conference call. His swagger is paying dividends. Netflix shares soared 298% in 2013, the best performance in the Standard & Poor's 500. Why: It's time to celebrate the Swiss watch maker's growth under Hayek. Hayek, 59, has built on his father's legacy as the savior of the Swiss watch industry by increasing production and expanding in fast-growing markets like China. Sales have more than doubled since he took charge in 2003, and net profit margin topped 20% last year. The family controls 41% of the shares. Hayek has increased Swatch's impressive array of brands, which includes Omega and Breguet, as well as plastic Swatch watches. Last year, he added some sparkle with the purchase of U.S. jeweler Harry Winston. A former helicopter pilot and movie producer, Hayek is fond of cigars and known to be prickly. When New York state's comptroller urged that sponsors of the Winter Olympics in Sochi use their influence to protect human rights in Russia, he told the state's pension-fund manager to speak out on NSA spying instead. Why: Owns China's market for instant messaging and mobile chat. Ma isn't big on visionary speeches, but the company he co-founded speaks for itself, with higher sales than Facebook and more users than Twitter. It also ranks third globally in five-year total stock returns among large tech, media, and telecom firms, according to Boston Consulting Group. 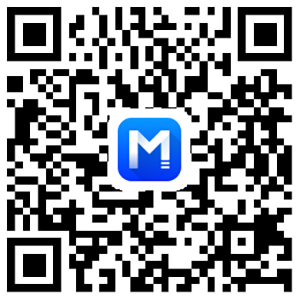 After encountering instant messenger ICQ in the U.S., Ma, 42, localized it for Chinese users, creating QQ. The free messaging service, with 800 million users, has become a lucrative launchpad for online gaming, social networking, and other services. Rivals are encroaching, but Ma, China's richest man, has stayed ahead of the trend. Tencent is bulking up in e-commerce, and expanding abroad with the mobile chat service WeChat. But controversy comes with the territory; Tencent reportedly deleted 30 popular accounts recently to rein in political discussion. Why: Built a biotech giant that revolutionized the treatment of AIDS. Martin, a chemist by training and the son of chemists, has transformed Gilead into one of the world's biggest biotech companies, with sales up 332 times since 1996, to $11 billion. He put the focus squarely on antivirals, in particular HIV/AIDS treatments. A skilled deal maker as well as a scientist, Martin outbid larger rivals for Triangle Pharmaceuticals, which gave Gilead the ingredients to make Atripla, a once-a-day, three-in-one pill that became its biggest seller and revolutionized the treatment of HIV, turning it into a chronic disease. As rivals encroach, Martin, 62, has pushed into areas such as hepatitis C, striking another gutsy deal for the early-stage biotech Pharmasset. That led to the recent launch of Sovaldi, a breakthrough drug that can cure many patients. The next challenge: bringing down the price of this $1,000 pill. Why: She understands off-price retailing better than anyone. Meyrowitz joined TJX predecessor Zayre in 1983, after a stint as an assistant buyer at Saks Fifth Avenue. Today, she runs the nation's largest off-price retailer, with more than 3,200 apparel and home-goods stores operating under T.J.Maxx, HomeGoods, Marshalls, and other names in the U.S., Canada, and Europe. Sales have risen nearly 60%, to $27 billion, during her tenure. She sees TJX becoming at least a $40 billion company. Europe, which generated 15% of sales in fiscal 2014, is a key to future growth. TJX is the only major bricks-and-mortar off-price retailer on the Continent, where Meyrowitz, 60, aims to open 875 stores, more than doubling the current count. TJX has an active share-buyback program and intends to raise its dividend, now 58 cents, which would make it 18 years in a row.